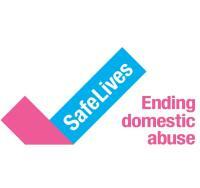 We are a UK-wide charity dedicated to ending domestic abuse, for good. We combine insight from services, survivors and statistics to support people to become safe, well and rebuild their lives. We believe that domestic abuse can be stopped. Stopped before it starts. Stopped before it ruins lives. At SafeLives, we provide research, training and support to frontline domestic abuse services and professionals - we are not a domestic abuse service providing direct support to people experiencing abuse. If you are experiencing domestic abuse, or are supporting someone who is in that situation, help is available. Every year, over two million people in the UK experience domestic abuse. Not one of them should have to wait until they're in crisis before we pay attention.